Once a booming new industry seemingly set to take over the world with its revolutionary technology, today the 3D printing industry lies partially buried, with even the pioneering MakerBot Industries shutting stores and slashing staff numbers. The question is though, is this a fatal blow or merely a blip in 3D printing's inevitable rise? 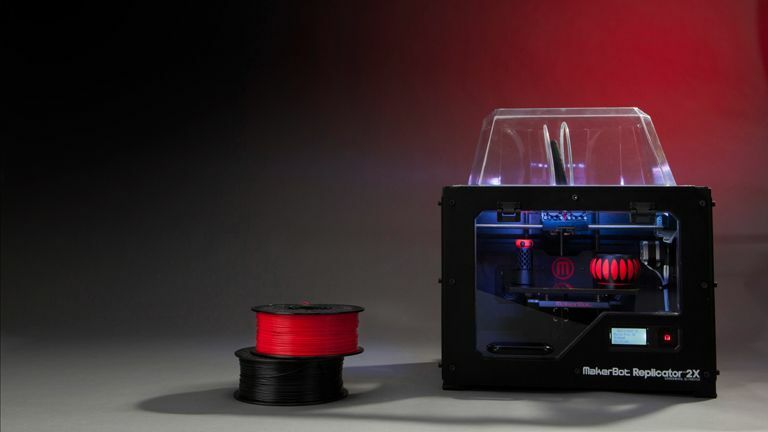 MakerBot Industries has not had a good year, shutting its three high-profile stores. Even the most loyal advocate of 3D printing has to admit that 2015 is the year that saw the 3D printing bubble burst. After riding a five-year wave of innovation and hype, a period in which 3D printing was brought to the public through a series of crowdfunded projects, stores, events and products, as well as being heralded as the return of old-fashioned, localised manufacturing, things suddenly fell off a cliff. MakerBot Industries, the poster child for the 3D printing field, shuttered its three high-street stores, let go 20 per cent of its staff and its parent company, Stratasys, saw its share price plummet from 104.16 on November 17, 2014, down to 22.59 as of November 16, 2015. At its height on January 3rd, 2014, Stratasys had once seen its shares worth 136.46 each but now they were worth a fraction of that. Yeh, people have kind of cottoned on to the fact that printing minature plastic cones isn't really lots of fun. Things weren't localised to MakerBot and Stratasys too. 3D Systems, another prominent 3D printer manufacturer whose CTO Chuck Hall is credited with actually inventing the stereolithographic process used by many of the machines, also saw its share price nosedive, falling from 35.33 last year down to 8.65 over the same period. Organovo also saw its share price halved, Voxeljet AG too. It was a collapse that reminded people of the dot-com bust. Now, far from people zealously proclaiming that in the future 'everything will be 3D printed', investors were actively veering away from the tech, fearing that the industry was now in terminal decline. MakerBot Industries' parent company Stratasys saw its share price nosedive throughout 2015. What MakerBot are now focussed on we're not sure, as too what it is that 'matters most to our customers', however we're guessing it involves reminding people of the uses for 3D printing technology and selling them a 3D printer. The company is still plugging away for sure though, with numerous models of 3D printer still available, as well as its software/ideas portal, the 'Thingiverse'. MakerBot also seem to be pushing 3D printing at schools, with their own MakerBot Education curriculum ideas and aids. Interestingly, while there appears to be a lull in uptake in the commercial sector, in the scientific and industrial sectors 3D printing still seems to be on the rise. For example, this year at the Inside 3D Printing conference in New York, researchers from Princeton University and John Hopkins University demonstrated a 3D printed outer ear. The ear was printed from a range of materials including hydrogel, silver nanoparticles and actual cells. In addition, 3D printed medical products such as made-to-order polymer bone replacements and titanium hips have seen the printed body part market grow by over 30 per cent. This outer ear has been built with a 3D printer, which is pretty damn cool. Arguably, it is the use of cells in 3D printers that is the most amazing emerging technology in the field of 3D printing. The idea that you can use live cells as a biological form of 'ink' is astounding and, while the technology is in its infancy, offers real promise. Right now work is being done to print tissue patches that could be used to repair damaged organs, however one day whole internal organs may be able to be built. Advances are also continuing in construction. By 2030 the UN estimate that more than 3 billion people will require housing and 3D printing is thought to be a solution to this problem. As such, projects like the World's Advanced Saving Project (WASP) are currently constructing industrial-scale house-building 3D printers. The Big Delta from WASP, for example, is a 12-metre high printer that has been designed to build houses purely out of clay. Equally, the world's tallest 3D printed villa was unveiled this year in China and, according to the Chinese company WinSun, they have used a proprietary 3D printer to print 10 houses in just 24 hours. This structure is a giant, house-building 3D printer protoype. It is designed to build structures out of clay. Obviously, these constructions are proof of principle test cases and not domiciles ready to be bought and moved into, however based on the rate of advancement in this field it genuinely looks like 3D printed houses will hit the market within the next decade. There aren't many lulz in the commercial 3D printer market right now. 3D printing is not dead, however after years of spectacular growth - growth built on hype and the massive potential of the technology - reality has well and truly set in for the industry. On a commercial level, companies like MakerBot Industries expanded far too fast and, after launching multiple 3D printers and hiring a dump truck load of people within a very short time scale, were left exposed when people got tired of printing fake mustaches and fake mustache combs on their $2000 investment. We think that printing in the home is still a thing, just not a thing where everybody on your street has a 3D printer and you regularly visit each other's houses to have 3D printer parties. From an educational point of view, however, we believe there are a lot of potential benefits of becoming familiar with the technology and the processes involved, so seeing 3D printers adopted in schools is encouraging. Where 3D printing remains a real technological innovator however is not on the commercial level but rather on the medical and industrial level. 3D printed tissue can be made right now and has obvious, real-world uses. The idea of cheaply built, 3D printed organs could also be world changing. So too could the ability to quickly and cheaply print entire buildings. Investors are still going to be wary about pumping money into the 3D printing field however, as despite the obvious benefits, those benefits seem quite a long way off right now both in realisation and in monetization.